FiberOptic.com - Blog: Fiber Optic Launch Boxes...Did you know? A launch box will eliminate your dead zones, and is a buffer between your cables under test and the OTDR ferrule. Doing this will help prolong the life of your OTDR. With fewer insertions into your main OTDR ferrule. Your OTDR ferrule and adapter can only handle a certain amount of insertions before it becomes compromised. This was something I didn’t know at all! I always looked at it as an adapter, it has to continue to work for the life of the OTDR right??? Guess I was wrong! If you are going to be using a launch box (which you should! As we just discovered) the recommendation is two units. 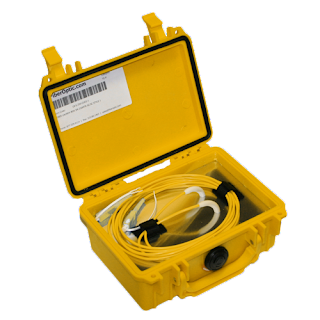 You would put box 1 in between the cable under test and the OTDR and box 2 at the lading point (end of cable run). This will help you see test results on the connector at the far end of the cable under test. You won’t have to move any of your equipment and will give you a great non-bidirectional look at the last connector under test. Well I hope I have given you some insight into why a launch box is definitely important. Not only the reasons above but they are cost effective, very easy to use and FiberOptic.com makes a low profile design that will allow you plenty of room inside the ruggedized case to route and store your test leads. Contact us today and we can help you save your OTDR and your Test Results!! !